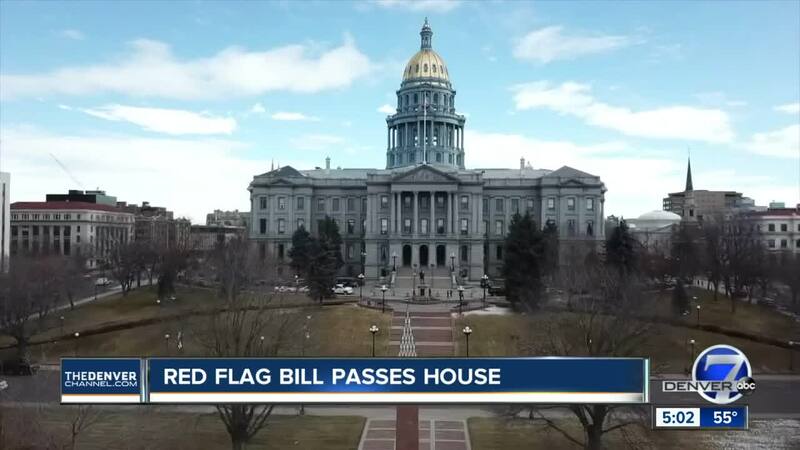 DENVER – The Colorado House of Representatives voted Monday morning to concur with amendments made to the red flag extreme risk protection order bill by the Senate and to pass it along to Gov. Jared Polis’ desk. Polis is expected to sign the measure, HB19-1177 , which allows law enforcement officers to seize weapons from a person if a judge determines they pose a threat to themselves or others. The House voted 43-20, with two lawmakers excused, to concur with amendments made to the measure in the Senate last week and voted 38-25 to pass the bill to Polis’ desk. The concurrence vote came after the Senate narrowly passed the measure 18-17 last Thursday, with Senate President Leroy Garcia, D-Pueblo, joining Republicans in voting against the measure, saying it was “not the right legislation” for the people of Pueblo or Colorado. The measure would allow a judge to order that a person’s firearms be confiscated if they are deemed a risk to themselves or others. The request for a protection order would come from law enforcement or family members. A judge could place a temporary order for up to two weeks on the person until it is decided at a hearing whether a full protection order is necessary. A full protection order could be approved for up to 364 days. 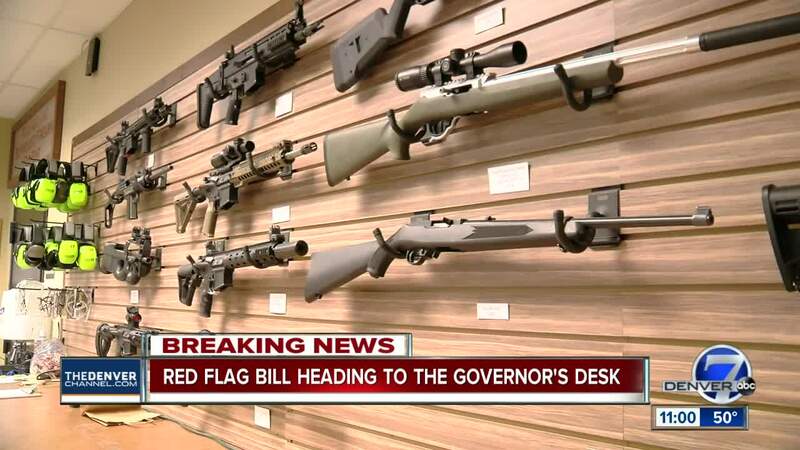 This year’s red flag bill has again divided lawmakers and Coloradans, as a similar measure did last year. However, this year’s measure reached the governor’s desk despite opposition from some who supported last year’s measure. That is mostly due in part to Democrats winning back control of the Senate in November’s election. Last year’s measure died in a Senate committee. As of Monday, 34 counties and towns or cities had passed resolutions in opposition to the red flag measure or declared themselves “Second Amendment sanctuaries” in an effort to stave off the possible law. Most of the sheriffs or county commissions have passed such declarations or resolutions in protest, saying the measure is unconstitutional. Denver and Aurora’s police unions have also said they oppose the measure. Weld County Sheriff Steve Reams has said he will go to jail before he enforces the measure, should it become law. Some opposed to the bill have even discussed recall petitions against Polis and some of the lawmakers who have supported the measure. Polis, who has signaled support of the measure , said that sheriffs have the ability to prioritize resources but noted that they are not lawmakers, but rather enforcers of the law. The Senate is also supposed to vote Monday on concurrence with House amendments made to the local control oil and gas measure – another controversial bill stirring emotions at the Capitol this year.